Type : Export Oriented Composite Knit Industry. Physical Infrastructure : Buildings- 02Five storied buildings, 1 Three storied Building and 4 fabricated building. After successful operation in Rupashi Knit Wear Ltd( Rupashi Group) the owner had decided to start a fully information & technology based along with the social accountability and quality controlled modern ready made composite knit garments industry in large scale. In this connection, the investor had decided in a resolution to start a company in ,Lamapara, Kutubpur, Fattulla, Narayangonj. In the year 1993 to manufacture knitwear garments for the international market. Right from inception the policy of the company has been to provide total customer satisfaction by offering quality knitwear in time. To meet the commitments of quality and prompt delivery, Rupashi Knit Wear Ltd Decided to integrate the manufacturing process in a planned manner. Over the years the entire process has been integrated by importing sophisticated machinery from world-renowned manufacturers. Working on new concepts in styling & content of the knitwear is a continuous activity in Rupashi Knit Wear Ltd with an objective to up the quality and the value of merchandise. Rupashi Knit Wear Ltd (RupashiGroup). Concentrated all its strengths and resources in developing a wide range of knitwear for the international market. The mission and vision of. Rupashi Knit Wear Ltd (RupashiGroup). is to manufacture and deliver high quality readymade garments (RMG) to its customers. The core objective is to attain and enhance customer satisfaction by providing on time delivery of desired quality readymade garments and also to increase efficiency of workforce. To increase awareness regarding customers requirements throughout the organization. By providing training to develop efficiency of the employee. To collect customer’s feedback regularly to know about their conception about their company and to take timely appropriate action. The company properties Rupashi Knit Wear , Narayngonz; which is about 10 km from the heart of the capital city. Charming sights along with natural beauty of rural areas with no hazards or air pollution attracts the foreign buyers during their visits. Matching is done by lab in charge. Sample is prepared by dyeing master. Sample is send to the buyer for approval. Approved sample is returned and taken as STD. Sample for bulk production. Dyeing master gives responsibilities to production officer. Then production officer, with the supervisors start bulk production. On line and off line quality check is done by lab in charge and Dyeing master. After dyeing finishing in charge controls the finishing process with the supervision of production officer. After finishing, the material is checked by dyeing master. Finally E. D checks the result with dyeing master and decision is taken for delivery. To collect the necessary information and instruction from the previous shift for the smooth running of the section. 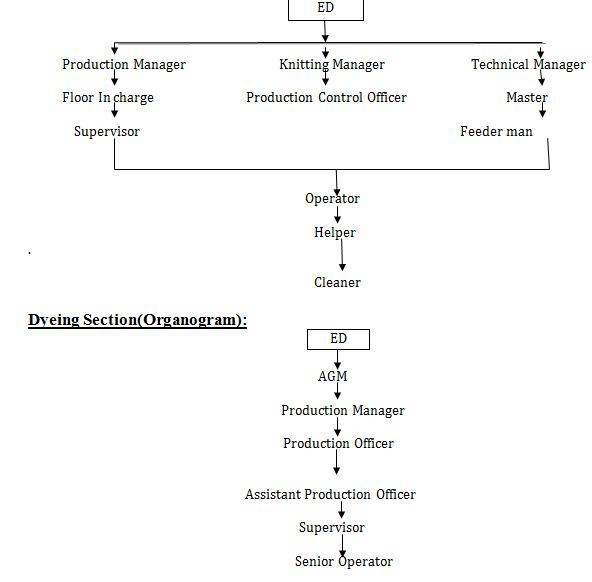 To make the junior officer understand how to operate the whole production process. To match production sample with target shade. To collect the production sample lot sample matching next production. To observe dyed fabric during finishing running and also after finishing process. To identify disputed fabrics and report to PM/EDfor necessary action. To discuss with PM about overall production if necessary. To execute the overall floor work. To maintain loading/ unloading paper. Any other assignment given by the authority. Overall supervision of dyeing and finishing section. Batch preparation and pH check. Dyes and chemicals requisition issue and check. Write loading / unloading time from machine. Program making, sample checking, color measurement. Check the sensitive parameters of different machines for smooth dyeing. Check the different log books and report to management. Check the plan to control the best output. To trained and motive the subordinates how to improve the quality. Maintenance the machinery and equipments. 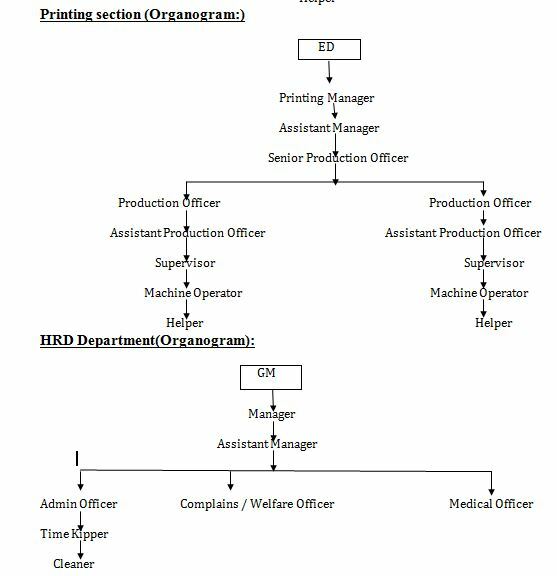 The manpower management system of The Rupashi Composite Knitting Ind. Ltd is well arranged. Every officers & stuffs are responsible for their duty. But there are no textile engineers in the Knitting section. It is not good for smooth production. More technical people are required. Raw material is a unique substance in any production oriented textile industry. It plays a vital role in continuous production and for high quality fabric. Cotton Yarn: 1. M.S.A Spinning Mill. Fabric : Sirajgonj check Industries Ltd.(RadianceGroup). 02 Tube Yarn is drawn through this for security and avoiding mixing waste. 04 Toothed belt All the feeders are driven by it. 05 VDQ pulley Change the stitch length .So the G.S.M is maintained. 06 Thread guide Supply yarn to needle from very short distance. 07 Needle Main part of the machine, it helps to form loop. 09 Cam Direct the needle, sinker to form different kinds of loops. 11 Take up roller Draw the formed fabric at downwards. 12 Pressure roller Press the fabric with take up roller. 13 Batch roller Wind the fabric into its surface to form roll. 15 Air nozzle Clean the needle, sinker trick plate etc. The layout of the three dyeing and finishing are planned where there no creates any problem to move product from one place to other place. But more place need for more comfortable working. The Knitting section is not well decorated. The knitting section is equipped with top-of-the-line machinery. Fukuhara of japan, mayer and cie of germany , and jung-long of taiwan . A well-integrated system of stringet quality measures checks all fabrics meticulously to eliminate contamination and other faults. Fabric is booked by merchandiser to knitting Manager. Knitting Manager sees the required yarn with count and G.S.M. Then a requirement report is informed to Executive director. Executive Director books for yarn to a spinning mill. After accepting yarn by store, the store provides yarn to knit section for producing required fabric. Then fabric is sent to store for next process. Create fabric – collar, cuff, paddy etc. Name of fabric types manufactured in Rupashi knit wear Lstd. – Type of Fabric or design of Fabric. – Diameter of the fabric. Type of Fabric or design of Fabric. Stitch length increase with decrease of GSM. If stitch length increase then fabric width increase and Wales per inch decrease. 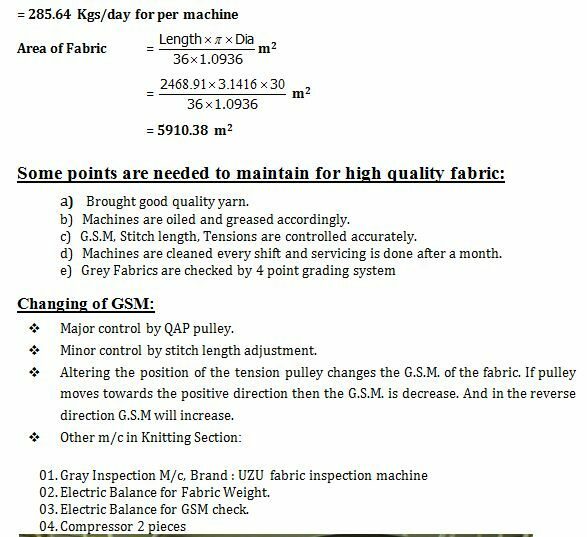 If machine gauge increase then fabric width decrease. If yarn count increase (courser) then fabric width increase. If shrinkage increases then fabric width decrease but GSM and Wales per inch increase. for finer gauge, finer count yarn should use. When a buyer orders for fabric then they mention some points related to production and quality. 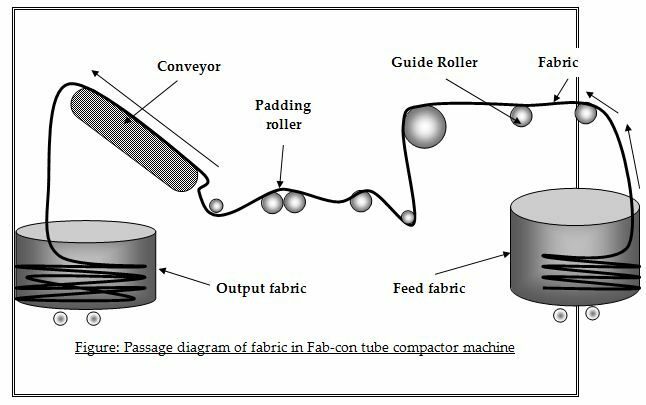 Before production of knitted fabric, these factors are needed to consider. Higher the m/c speed faster the movement of needle and ultimately production will be increased but it has to make sure that excess tension is not imposed on yarn because of this high speed. If the number of feeder is increased in the circumference of cylinder, then the number of courses will be increased in one revolution at a time. The more the machine gauge, the more the production is. So by using machine of higher gauge production can be increased. b) Applying yarn supply through plastic tube that eliminates the possibilities of yarn damage. c) Using yarn feed control device. Holes are the results of yarn breakage or yarn cracks. During loop formation the yarn breaks in the rejoin of the needle hook. If the yarn count is not correct on regarding structure, gauge, course and density. Yarn strength must be sufficient to withstand the stretch as well as uniform. Use proper count of yarn. Correctly set of yarn feeder. Knot should be given properly. When a needle breaks down then needle mark comes along the fabrics. If a needle or needle hook is slightly bends then needle mark comes on the fabrics. Needle should be straight as well as from broken latch. When sinker corrode due to abrasion then some times can not hold a new loop as a result sinker mark comes. If sinker head bend then sinker mark comes. Yarn tension variation during production. Buckling of the needle latch. Maintain same Yarn tension during production. If yarn is not properly fed during loop formation i.e. not properly laid on to the needle hook. Needle should be straight & well. Proper feeding of yarn during loop formation. Correct take up of the fabric & correct fabric tension. Yarn tension should be properly. When oil lick through the needle trick then it pass on the fabrics and make a line. Ensure that oil does not pass on the fabrics. Well maintenance as well as proper oiling. If any rust on the machine parts. If any rust on the machine parts then clean it. Proper maintenance as well as proper oiling. Due to break down or bend of the latch, pin hole may come in the fabric. Cloth fall- out can occur after a drop stitch especially when an empty needle with an empty needle with closed latch runs into the yarn feeder and remove the yarn out of the hook of the following needles. Make sure all the latches of needle are closed with feeding yarn after a drop stitch. A fault in weft knitted fabric appearing as light or dark course wise (width wise) Stripe. This fault comes from yarn fault. If different micro near value of fiber content in yarn. Different lusture, dye affinity of fiber content in yarn. During spinning different similar classes of fiber is mixed specially in carded yarn & these fibers have similar characteristics. 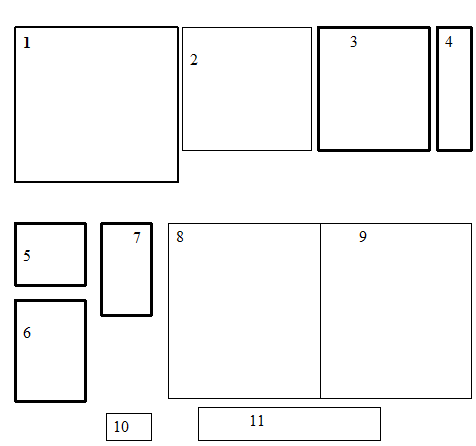 In draw fame different similar classes sliver is mixed and make one sliver. 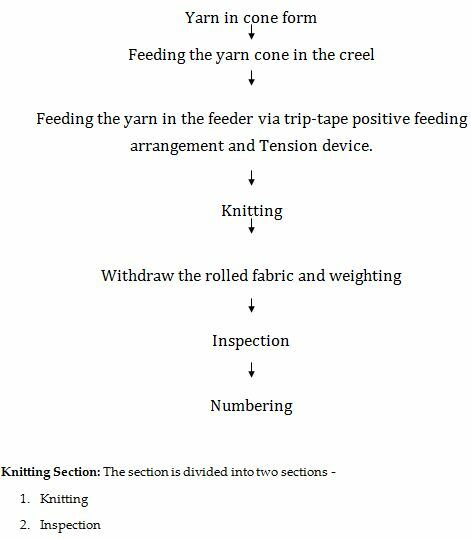 In knitting section too much lint is flying to and fro that are created from yarn due to low twist as well as yarn friction. This lint may adhere or attaches to the fabric surface tightly during knit fabric production. Blowing air for cleaning and different parts after a certain period of time. By cleaning the floor continuously. By using ducting system for cleaning too much lint in the floor. Over all ensure that lint does not attach to the fabric. If lot, count mixing occurs. By avoiding lot, count mixing. Excess cotton with yarn on needle. Primarily batching is done by dyeing manager taking the above criteria under consideration. Batch section in charge receives this primary batch plan from dyeing manager. Some time planning is adjusted according to m/c condition or emergency. Lab dip plays an important role in shade matching & and detaching the characteristics of the dyes and chemicals are to be used in the large scale of production so this is an important task before bulk production. Blue – 0.1%, 0.5%, 1.0%, 2.0% (very common). To prepare 0.1% Stock solution, it is necessary to mix 0.1 g dye and 100 cc water. To prepare 0.5% Stock solution, 0.5 g dye stuff is mixed with 100 cc water. To prepare 1.0% & 2.0% Stock solution similar procedure is followed. Montex Fabrics Ltd. Produces 0.1% to 5% shade for the goods. Take the beaker keep the fabric into the beaker. Then the dyes, chemicals & required amount of water take in to the beaker by the digital pipeting. Then the beaker set in to the lab dyeing machine for dyeing. After 30 min add the then add the soda ash. By pipeting . Hot wash & then cold wash.
11. Then acid wash as for neutralization. 12. Then soaping required soap solution 10 min at 90° C temperature. 13. After the fabric again cold. 14. Then dry the lab dip and compare with the standard. 01). Machine Type: Pilling Tester. 04). Test Name : Color fastness to Wash.
Function : To determine the amount of formaldehyde present in dyed goods. Function : For the purpose of perspiration and other fastness properties tested . Mentioned that the place of the laboratory is so limited where the employees can not get proper comfortable working environment. Because the lab Q.C and lab dyeing is mixed in a roof but it cannot make a easy mode to work in laboratory. The employees here are so hard responsible. Receive lab-dip from lab section. They make sample dyeing before going to bulk production. After sampling ok then it ensures to go bulk production. To wet the fabric as well as dye stuff. To reduce the surface tension of water as if it allows the dye stuff for easy penetration into fiber. Help to increase dye uptake to fiber by wetting it. Emulsify oil, fats, waxes and remove oil-borne stains. Generally the dye molecule contains some of oil, wax & others impurities thats are responsible to make foam which needs to prevent from fabric. So this agent helps to prevent the foam formation. Used to protect dye liquor from foaming. Thus they help in even and regular dyeing. It helps to remove the crease marks of fabric. It helps to remove the hardness of water. It preserve the strength loss of the H2O2 .That is, it helps to catch the powerity of H2O2. When the temperature is increased then it has to possibility to reduce the powerity of H2O2 (At 90˚C-110˚C).So stabilizers are used. Used in scouring which removes the oil, wax and others impurities from the fabrics. After dyeing of a fabric, the Soda Ash helps to stain (catch) the fabric’s color. So it acts as fixing agent. (During dyeing) & It increases the activity of salt. It removes the natural color from the fabric. It increases the whiteness of the fabric. It is used to neutralize the solution for controlling the pH. The alkalinity may reduce by using it in solution. It removes the hairiness/ floated fiber from the surface of fabric. To remove the residual peroxide from the fabric. It spreads the color evenly through the whole of the place of the fabric. To make color the fabrics by using dye stuff. Remove the oily material from the surface of fabric. The attraction powerity of a salt to water is higher. So when NaCl is added to water then it falls on the dyes. It spreads color evenly to whole place of the fabric. To increase the absorption powerity of the dye to fiber. Carrier transports the dye to the fiber. Used for fixing disperse dyes on polyester or polyester wool blends at temperature below 105˚C. They make dye film on the surface of the fiber. To increase the dyes take up% by covalent bond of the fiber liquid. They may act as molecular lubricant. To spread dye molecules into the fiber. It assists the process of particle size reduction of the dye. To increase solubility of the dyes. Used as physical brightening (bleaching) agent in fabric. It increases the whitening effects on the fabric surface. It is generally used after scouring and bleaching. The floated colors are removed from fabric by soaping. The stability of color’s brightness is increased as a result of soaping. After dyeing, the fabric is remained hard in nature. So softener is used to make the fabric soft in nature. It helps to fix the color in the fabric. Enhance wet fastness for heavy shade but usually reduce light fastness. Dyeing is the process of imparting colors to a textile material in loose fiber, yarn, cloth or garment form by treatment with a dye. Perfect leveling, Bleaching, Scouring, Soaping etc. No crease mark, Foaming etc. 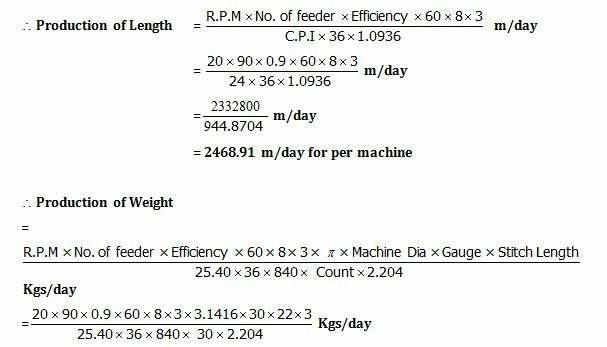 Fastness properties according to requirement. – Uneven pretreatment (uneven scouring & bleaching). – Using dyes of high fixation property. – Uneven heat-setting in case of synthetic fibers. – By ensuring even pretreatment. – By ensuring even heat-setting in case of synthetic fibers. – Proper dosing of dyes and chemicals. – Improper dosing time of dyes & chemicals. – Batch to batch weight variation of dyes and chemicals. – Improper reel speed, pump speed, liquor ratio. – Use standard dyes and chemicals. – Maintain the same liquor ratio. – Follow the standard pretreatment procedure. – Maintain the same dyeing cycle. – Poor migration property of dyes. 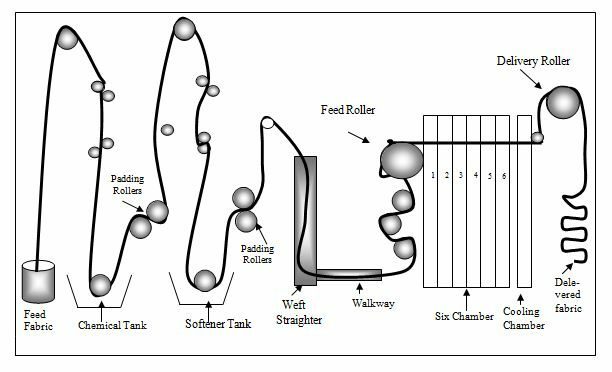 – maintaining proper reel sped & pump speed. – Improper Dissolving of dye particle in bath. – Improper Dissolving of caustic soda particle in bath. – Improper mixing of the Softener. 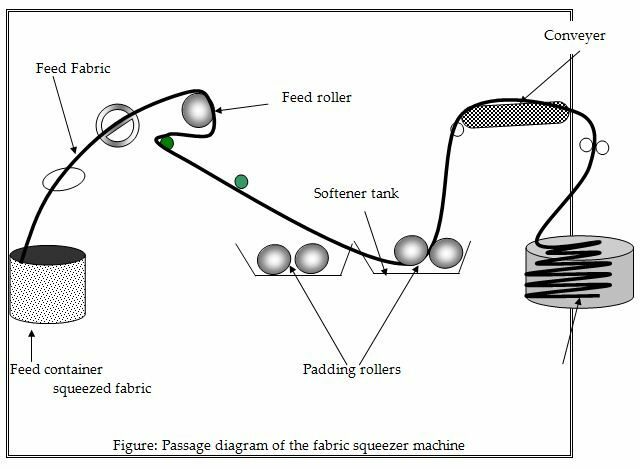 – Improper running time of the fabric during application of softener. – Proper Mixing of the softener before addition. The making of a marketable and consumer usable textile is not completed after fabric production dyeing or printing operation. Fabrics usually still need to undergo an additional processing known as finishing, which is the final processing before the fabric is cut into apparel or made into any articles of textiles. Finishing is what improves attractiveness and makes fabrics suitable for their intended end use. After dyeing completed, it is necessary to remove some water initially for the case of further processing in this m/c. The initial squeezer does this work. The de-twisting unit removes twists that may present in tubular rope form fabric. This unit has 3 de-twisting rollers, one rotation drum and 2 feeler rollers with sensors. By these rollers it detects twist in fabric and removes by rotating rope fabric in opposite direction. Before slitting there is a blower which blows air to open the tubular fabric & makes it easy to pass over cigger. The cigger can be extended in circumference and opens the tubular fabric in full circumference. Slitting is done by using open mark detecting golden eye by around knife. Then the fabric passes through the padder where washing or chemical treatment is done. Squeezer is used to remove 60-70% of water. After removing water width is controlled by stretcher and fabric is delivered by folding device. Fabric is cut according to the needle drop. Stenter Machine is generally used to finish the open fabric. This stenter machine consists of eight chambers; each containsfour burners, two blowers, two ducting line, nozzles and suction fan attach with the suction line. The burner produces hot flow gases which guided though the ducting line by the help of blower. Temperature of each chamber can control automatically by controlling the intensity of burner. Generally lower temperature is maintained the first and last chamber then other chambers. The speed of the fabric is maintained according to the moisture content of the fabric. After passing the fabrics to all the chambers, the fabric is collected for compaction. The performance of the stentering range depends on proper introduction of the cloth into the machine. The finer the fabric is being processed, the greater the significance of the correct, crease free and fault free fabric introduction. In stenter m/c the fabric first passed through different rollers including weft straightening device, uncurling device for proper feeding of the fabric into the machine. Then it passed through the selvedge detector which detect the selvedge and adjust the rail for proper gripping the fabric in the pin arrangement. This stenter m/c consists of both pin and clip arrangement. The fabric first grip by pin and gust before entering the chamber, pin are locked by clip arrangement. 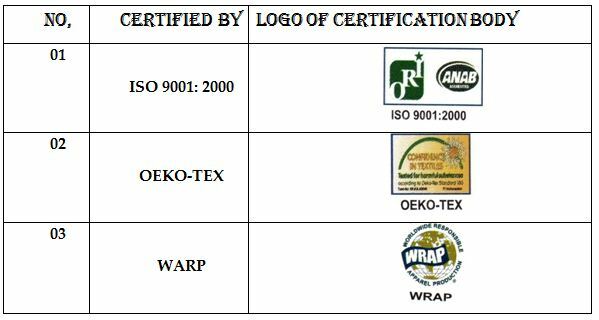 To maintain proper dimension of the fabric, length wise overfeed and width wise tension is given to the fabric. – Heat setting in case of p/c & 100% polyester, Lycra, grey mélange fabric etc. – Maximum 48 inch diameter can be extended. – Padder contract point adjusts perfectly according to the fabric construction otherwise accurate water will not remove. -To control the overfeed system. -To control the vibration which increase the G.S.M. line by suction fan .There are nozzles placed in between filter net and conveyor net. When the fabric pass on the conveyor net, hot air is supplied to the wet fabric to dry it. There are exhaust fan which such the wet air and deliver to the atmosphere through the ducting line. The speed of the dryer depends on the temperature of the m/c & the G.S.M of the fabric. If the m/c temp.is high then m/c speed also high and the m/c temp. is low then m/c speed also low . 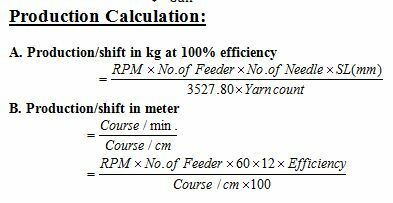 The vibration speed of the m/c for heavy fabric is 730 m/min and normal fabric is 480 m/min. – Set the over feed up to 10~20% or as required to get finish G.S.M. —Vibration occurs in heating zone. —Process air pressure switch present. —Maximum temp. Increase up to 1700c. 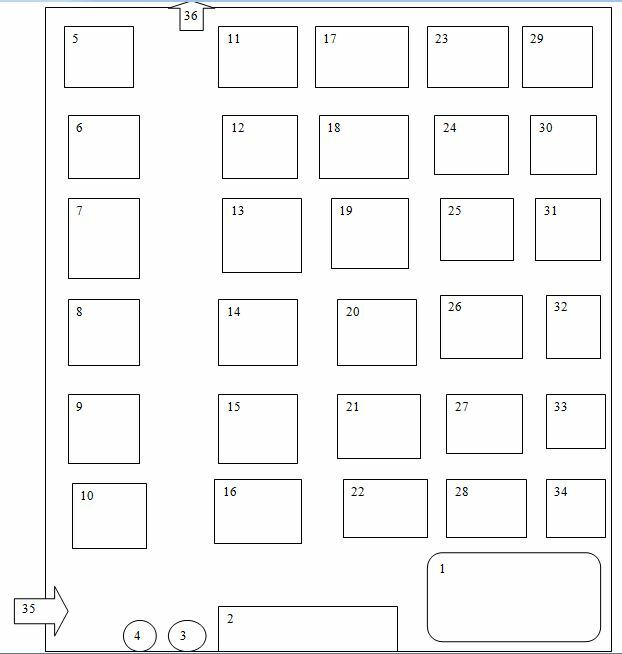 —Two conveyor belts are present. N.B: For Polyamide: Temp range is 1100C~ 1150C.Speed range16~18: Overfeed range- 5%. This Data’s are varied depending upon the Gray G.S.M and Finished G.S.M and also on the dia of the fabric. All this parameters are suitable for G.G.S.M range 140~160 to get Finish G.S.M 170~185 without Lycra Fabric. * If fabric is redder than the standard one, then reduce the temperature. This m/c is used only for raising finishing which imparts a hairy surface to the fabric. A layer of fabric fibers lifting from the body of the fabric is achieved by passing it over a no. of pile R/r and counter R/r. It is mostly applied on Terry fabric, Polar fabric etc. The RUPASHI KNIT WEAR Ltd is a well-equipped industry. It contains machinery of well known brands like Orthomat, Sunsuper Lafer, etc. The availability of these m/c’s are helpful to increase the productivity of the industry. The arrangement of machines is very beautiful and there is enough space for movement of the workers. There is large difference between the theoretical knowledge and practical experiences. This is truer in case of the study of Textile Technology. Industrial attachment or, Industrial training is an essential part for textile education because it minimizes the gap between theoretical and practical knowledge. This Industrial training increases our thought a lot about textile technology. It also helps us to know a lot about industrial production process, machineries, and industrial management and made us suitable for industrial life. Besides it gives us the first opportunity to work in industry. So we can say industrial attachment prepare us for the expected destiny of practical life. I have completed my industrial attachment from Rupashi Knit wears Ltd(Rupashi Group). I got the impression that this factory is one of the modern export oriented composite knit garments industry of our country. This factory does not compromise in case of quality. So, they have established on-line and off-line quality control of each product. Besides, they also use the good quality yarn, dyes and chemicals in their production process. Due to this, it has earned a “very good reputation” in foreign market for its quality product over many other export oriented textile mills. It has very well educated and technically experienced manpower to get rid of any defect in production process. It has also a good organizational hierarchy.